Apropos of this post sound-graphic, thanks to Ryz and Rene Abythe, respectively, for pointing out two exponents of an emerging microgenre of "people who use Soundcloud's wave files to make words and pictograms." These are also pretty nice to listen to, as the cursor moves swiftly through the letters or images. 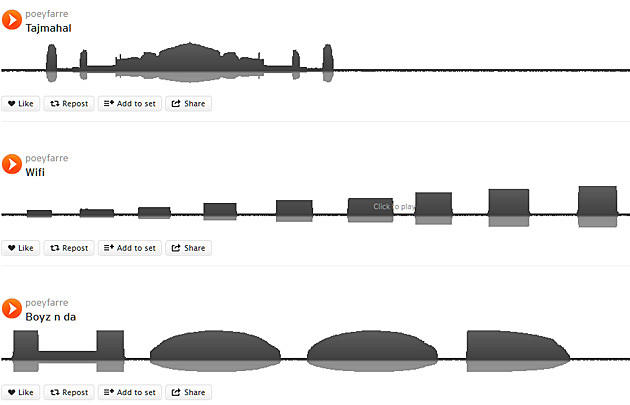 A musical-sounding, white noise Morse Code of the 8 bit/videogame persuasion. File under: "the street finds its own uses for commercial BS."